Man. 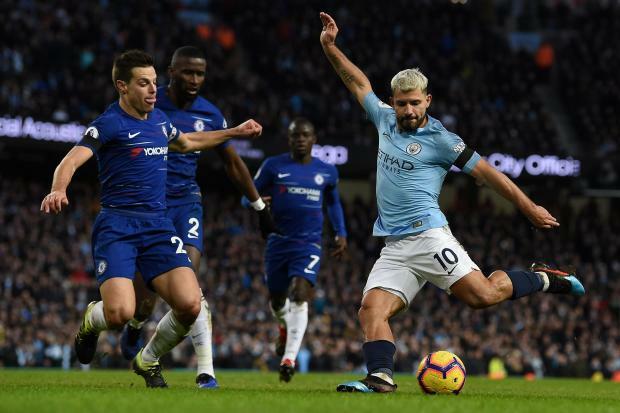 City's Sergio Aguero fires in one of the team's six goals against Chelsea. This was Chelsea's worst loss in any competition since 1991 after failing to recover from Sterling's fourth-minute opener.